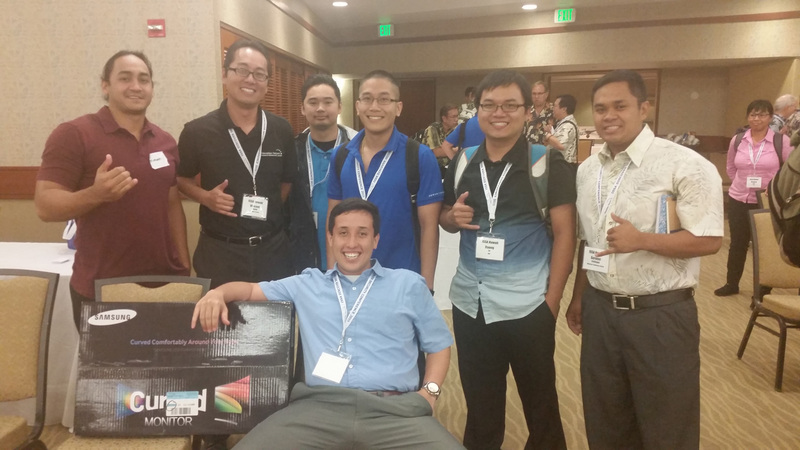 Congratulations to the HATS (Hawai’i Advanced Technology Society) student club from the Honolulu CC CENT program for taking first in a ‘Capture the Flag’ competition at the recent Information Systems Security Association Conference at the Hale Koa Hotel. HATS beat out individuals and teams from various ICT Cybersecurity vendors and industry professionals attending the conference. The winning prize was a 27 inch Curved Samsung monitor, which they donated to the CENT datacenter.